There is compelling insight to why marriages fail. According to Your Tango, the digital leader in relationships, the number one reason why marriages fail has to do with lack of communication. Following close behind is infidelity and “not spending enough time together/not prioritizing the marriage.” Your spouse should be your best friend who you can confide in. Another indicator that a marriage will fail is cold feet. Consistent with a UCLA study, a huge 80 percent say that a bride’s pre-wedding jitters are a harbinger of divorce. If you have any doubt at all about getting married, you should go with your gut instinct and refrain from marriage. In days past, a couple would make vows to each other before getting married. Modern marriages today lack this commitment. A way to test this commitment is evidenced by how your spouse treats you when circumstances are unfavorable like sickness, unemployment and/or anything else that would make you less attractive. Less surprisingly, 74 percent of experts polled agree that the number one predictor of divorce is differing values around kids, money and/or intimate relationships. Couples should get to know one another and have similar interests and core values before having intimate relations. By doing this, you establish the fundamental groundwork for a solid marriage, one that can weather the storms. When asked whether divorce is harder on men or women, 65 percent of experts agree it is equally hard on everyone. 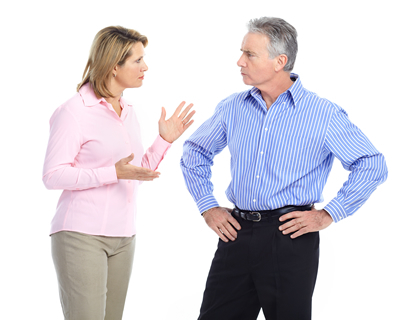 Often times, kids are put in the middle of a contentious divorce where there is fighting. Just how much should divorcing parents share with their children? According to this study, 51 percent said, “any details that the kids can developmentally understand and integrate.” However, when going through a divorce, parents are often told to refrain from saying anything negative about the other spouse as it has been proven to be harmful to the children. There is a fine line between confiding in your children and knowing what might not be in the child’s best interest. If you have any doubt about this, contact an attorney. So how can couples ensure they don’t end up as a divorce statistic? “Sixty-five percent of experts agree the most effective way is by improving communication, followed by decreasing negativity/criticism.” You might have heard this before but now you can be sure that there are statistics to back it up. The attorneys at Stange Law Firm PC focus their practice on family law and can advise you on how to get the most favorable outcome in your divorce and how best to deal with your children. Contact us at 314-963-4700 or at St. Louis Divorce Attorneys in Missouri for a consultation.